Back in the early 1970s, Dr. Bolivar Trask (Peter Dinklage) ushers in a new wave of mutant attack in the form of giant Sentinels. This engineering endeavour starts a chain reaction of events that eventually leads to a very bleak future – one where all mutants and any human sympathisers are enslaved and annihilated. To change this outcome, Charles Xavier (Patrick Stewart), Magneto (Ian McKellan) and his surviving X-Men work to send Logan (Hugh Jackman) back to the past in a bid to change history. But in order to pull this off the Wolverine will have to unite the young Charles (James McAvoy) and Erik (Michael Fassbender) at a time when they have never been more distant. 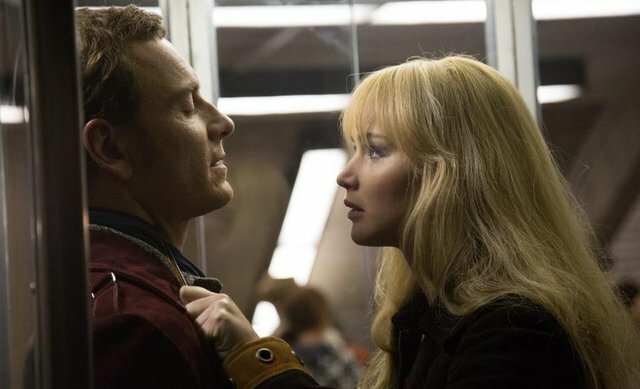 X-Men: First Class defied the odds back in 2011 and came in as one of the most accomplished comic book films in recent memory. It achieved this level of success through deep characterisation, stunning attention to detail and an encompassing story that somehow linked the original trilogy and the Wolverine off-shoots into one cohesive unit. So the daunting challenge that awaited X-Men: Days of Future Past was how to build upon this legacy. Thankfully X-Men: Days of Future Past manages to continue this trend with a hugely entertaining blockbuster that delivers a very enjoyable time-travel element to the Marvel universe. 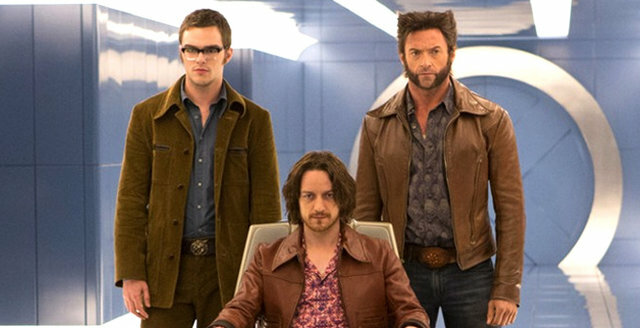 When news of the X-Men: Days of Future Past – Rogue Cut surfaced it certainly peaked interest. With Anna Paquin’s scenes cut entirely from the theatrical release, it now surfaces on this special edition Blu-ray and it’s worth the wait. Originally cut for narrative purposes, the Rogue Cut actually makes the film a much more coherent and satisfying affair. The cut is around 17 mins longer too so this isn’t just an odd appearance thrown in for the sake of it. Every minute is relevant and plays a big part in the finale and to the overall structure of the film. The Rogue Cut completely changes the movie and is a very welcome addition to the story. Early indications were positive that the film would be a success, especially given the X-Men casts’ eagerness to all reprise their roles. 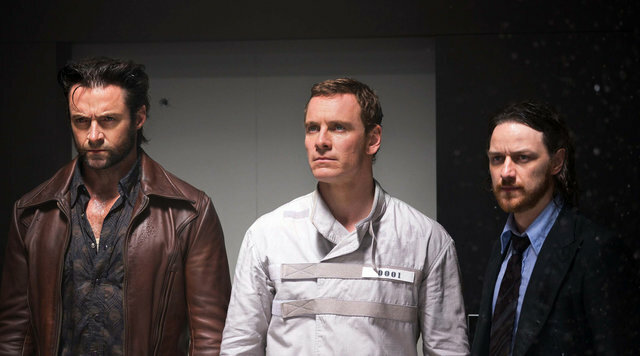 With James McAvoy and especially Michael Fassbender enjoying enormous success since First Class, their return to the franchise must have helped the likes of Halle Berry, Ellen Page and Shawn Ashmore sign up to realise a fan-boy dream of amalgamating these generations of heroes into a linear and cohesive timeline. The success of the film lies squarely with the writing teams’ masterful direction and vision, coupled with an ensemble of acting talent that all push themselves to the limit. James McAvoy and Patrick Stewart’s portrayal of Charles Xavier is faultless and they captivate every time they are onscreen. McAvoy’s builds upon his wonderful camaraderie with the entire cast but his central relationship with Erik is where the film really becomes interesting, especially when their relationship is explored in the future through Patrick Stewart and Ian McKellen. Hugh Jackman leads the line exceptionally well and shows us just how versatile an actor he is. It’s impossible to see anyone else have the impact and magnetism of Wolverine in the entire Marvel film universe, with Jackman the rock that grounds this very tricky unification. Jackman looks amazing throughout, his comedy and wise-cracks are vintage Logan and he makes the bridging of the past and future franchises look effortless when it’s anything but. Hugh Jackman is sensational here, especially given the weight of expectation resting on his shoulders and the fact that so much hinges on his performance. The large supporting cast are all excellent with Game of Thrones regular Peter Dinklage stealing all of his scenes as the man responsible for ushering in a new age of war. Jennifer Lawrence has a much larger role to play as Raven/Mystique and she is at the centre of much of the film. There are many familiar faces popping up throughout the film too and they give fans plenty of opportunity to get excited. Anna Paquin’s additional scenes showcase a great side-story involving the older Charles and Erik having to rescue her along with Iceman. Paquin does very well given her short screen time and creates a great triangle of drama along with Ellen Page’s Kitty Pryde and Shawn Ashmore’s Bobby. Evan Peters is entertaining and delivers some solid comic relief as Quicksilver and Nicholas Hoult is always reliable as Beast, sharing good chemistry with Jackman and McAvoy along the way. X-Men: Days of Future Past likes grand spectacle and it delivers some truly immense action set-pieces. Having the film work with real-life events (like the death of JFK) grounds the story and makes the fantastical seem plausible and effective too. The soundtrack is awesome and plays to the subtleties of the marvellous script and the dedication to the source material will keep die-hard comic book fans very happy. Even the costume and period set design of X-Men: DOFP is superb and really evokes 70’s style (especially through Hugh Jackman who looks amazing throughout the film in tinted shades driving a Buick). This perfectly contrasts the totalitarian, bleak depression of the future-scenes with their dark and twisted tonal shifts. Marvel Comics have had a very successful film-run of late with every one of their properties doing astounding box-office business. X-Men may fall under 20th Century Fox’s banner (as opposed to Marvel Studios) but their universe is fast becoming the only comic stable to look out for. With an infinite amount of X-Men characters to take inspiration from, the X-Men franchise looks to be just as expansive and encompassing a universe in its own right so don’t expect to see a team up with The Avengers anytime soon. If you stay until the very end credits of DOFP you’ll also see a teaser for the plot of the next movie, proving that there are many more journeys for us to take with these Mutants. X-Men: Days of Future Past – The Rogue Cut does a very good job building upon its foundations. It may not better First Class but its ability to unite so many differing story-threads means that this franchise has a new, vibrant lease of life. X-Men: Days of Future Past – The Rogue Cut is a real statement of intent from Fox & Marvel and a must-own release, proving that this Director’s Cut version is a relevant, involving and important chapter in the X-Men legacy. X-Men: Days of Future Past- The Rogue Cut is out now on Blu-ray and DVD.